Before Christmas, I was looking for thread that I could use to quilt my Rangers Station quilt. I am happy to report, I found it in Tula Pink’s Moonshine Aurifil boxes. Look, perfect matches. This quilt will also be my Marsala submission for the upcoming Pantone submission….I know, I am ahead of schedule on this one!! I am not going to lie….knowing that I was going to go into Sew your Stash 2015, I did do some purchasing to end 2014 and take advantage of some of the sales. The first one was to pick up these wonderful Oakshott cotton bundles. Another one, that has arrived are these Half yards I picked out at Fat Quarter Shop. Only two more purchases I am waiting on, which were paid for in 2014 and planned….Doe (full yards) and some but not all of the new Cotton and Steel prints. I should have the Doe next week to show, and I am so excited. For 2015, is there any fabric lines you can’t wait for? 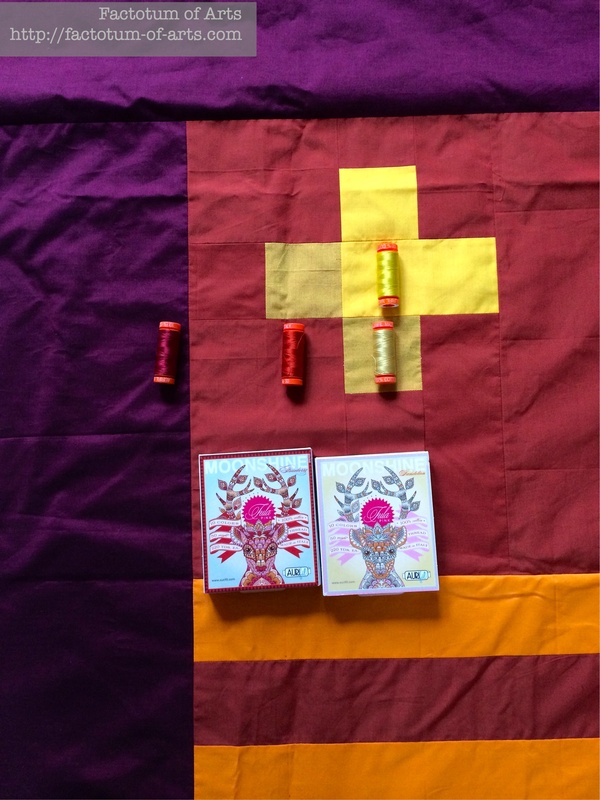 This entry was posted in Uncategorized and tagged Fat Quarter Shop, Moonshine Aurifil, Oakshott Cottons, sunday stash on January 4, 2015 by mlwilkie. You sound like me a year ago, quickly stashing things before the ‘fast’ begins! There are some lovely 1/2 yards there, do you have plans for any? I’m also (patiently) waiting on a bundle of Doe! Oh I would love to own some Oakshott. Some day… 🙂 Gorgeous additions to your stash. 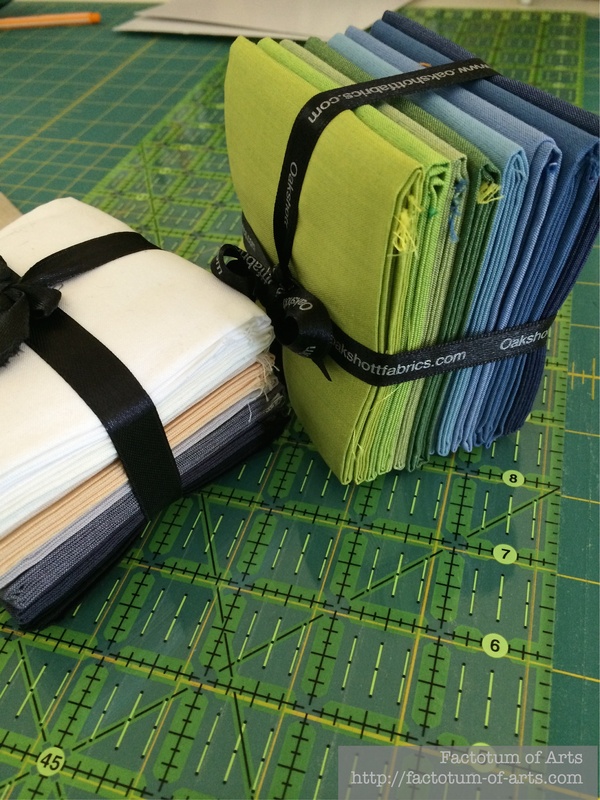 The color matching is fantastic, and how cool that it will work for the pantone quilt challenge. Awesome! 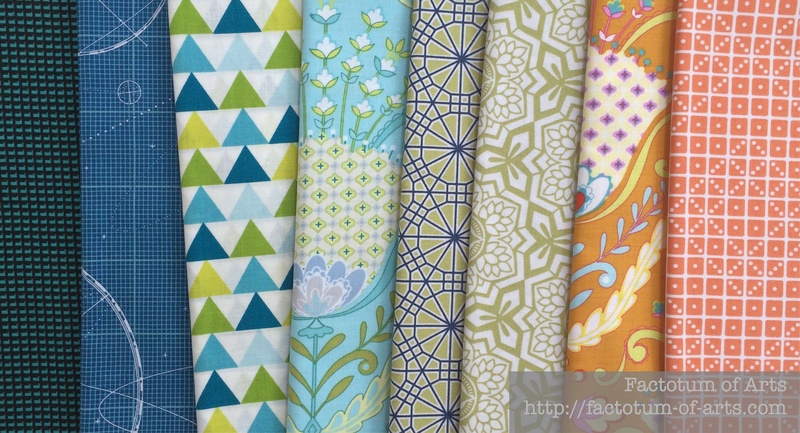 The oakshott fabrics are lovely, and I hope that sewing from your stash is a fun creative twist for your year. I have heard so much buzz on the Oakshott fabrics but still haven’t gotten an opportunity to pick them up and try them out. Same with the Cotton+Steel. Worst part is I have a FQ bundle in my living room for a giveaway on my blog. I can’t open the envelope for fear of wanting to keep it and having to order a new bundle to giveaway! Love your new stash! I can’t wait for the new Cotton Steel line Playful. I love the viewfinder prints. Those threads are perfect!! I have yet to get my hands on any Oakshott, but it’s on my Want list! I’m trying to resist all the hype around all fabric really, and then once it’s out try to decide for myself if I like it or do I just want it because of the hype? Sometimes it’s hard to know, but usually it’s just the hype.